Ten years ago, when I was just embarking on entrepreneurism in the world of publishing, I distinctly recall a moment that influenced me greatly. While perched at a curbside table at Ponsonby Road Bistro (possibly called Magnum then) I noted with much delight, a shiny, silver Rolls-Royce Phantom which had pulled up outside. The car was helmed by a driver, and from the back seat emerged the publisher of a very successful independent newspaper. It’s moments like these that make you realise how life affords luxuries to those who work hard. And for some people, the ultimate luxury is an expertly handcrafted motor vehicle to drive, or better still, to be driven in. 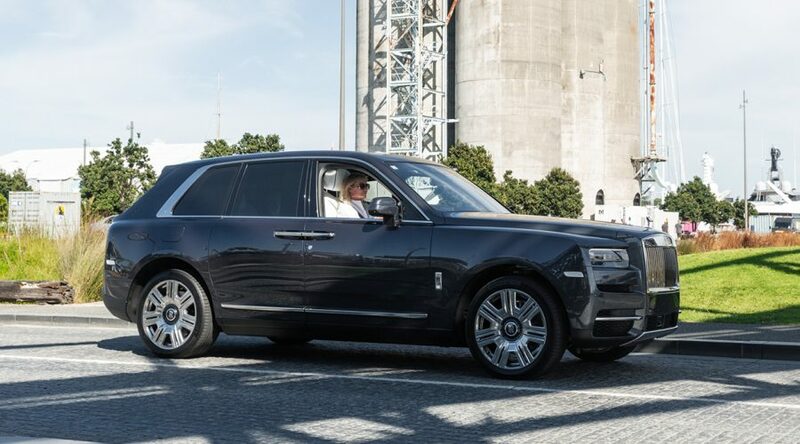 Named after the world’s largest, gem-quality rough diamond (a whooping 3106 carats), the Rolls-Royce Cullinan certainly lives up to its moniker in terms of both size and head turning impressiveness. The Cullinan is Rolls-Royce’s long awaited foray into the increasingly popular SUV category, and you’ve got to wonder why they waited so long. 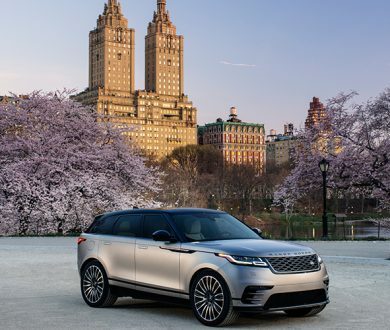 Seeing the car in the flesh, it’s easy to see how the Rolls-Royce marque is so well suited to SUV proportions with its upright, boxy dimensions and generous size, it really feels like a natural evolution — a growing up of sorts. And producing a car that will allow the world’s ultra-high-net-worth individuals to drive in unimaginable opulence, over any mountain that should stand in their way, seems to be working for the marque. 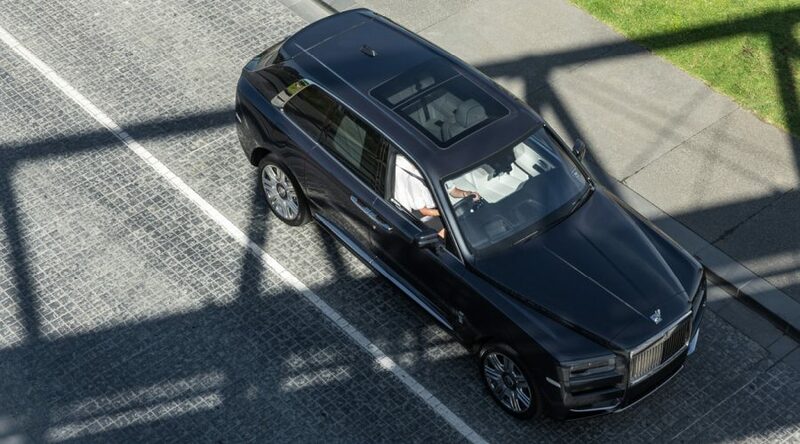 At the time of writing, there’s an almost year-long waitlist to take delivery of your own customised Cullinan. 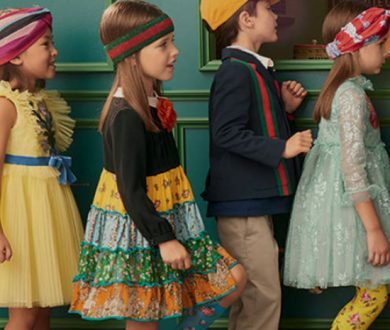 And what’s most surprising is that the new model has seen a new subcategory of buyer emerge, one that’s younger and female. Luckily, I happen to fall into these two categories (just), making me the perfect candidate to review its redeeming qualities. There’s no denying the eye catching beauty of the Rolls-Royce brand, and the Cullinan certainly holds its own when it comes to attracting attention. The Spirit of Ecstasy, which is discreetly tucked into the hood when the car is parked, glides to attention atop the formidable Parthenon-shaped grille when the car is unlocked. The breadth of the infamous ‘carriage doors’ is so expansive when open that to close them requires a special button. Because really, one should not have to lean out of the car to fetch the door. The car’s interior is a study in pure indulgence. The leather is so soft and supple, that one might assume Rolls-Royce to also be farming their own herd of Wagyu cattle, raised with daily massages and soothed by classical music. Book-matched wood veneer, bright chrome embellishments for switches and ventilation contrast with elegant, matte aluminium trims, making for an interior finish that is pure luxury. My children, as it turns out, were the winners of this weekend lottery. Being confined to the much maligned backseat was for once, considered a bonus thanks to the excess on offer. For starters the two individual seats have what Rolls-Royce calls pavilion seating, which positions the rear seats higher than those in front, affording my delighted passengers an enhanced viewpoint through the enormous side windows. And when the glaring crowds got too much — and people did stare — my children deployed the curtains, with bold exclamations of “I need privacy!” At which point the tray tables were lowered and the televisions activated, because there’s nothing like a little screen time to escape the public glare. Adding to the lavishness of the rear seating is a fixed centre console, otherwise described by my children, as ‘Mummy’s bar’. Here, if one so feels the need, one can store a favoured single malt within the fine, cut crystal decanter. And for those times that call for celebration (which I’m sure would be quite regularly when one lives a life this large), there’s a handy little refrigerator perfectly fitting for a bottle of Dom Perignon, along with a duet of fine crystal flutes. driver’s seat. So how did the Cullinan stack up for this lady driver? The only way I can accurately articulate the experience behind the wheel is to say, perhaps rather uncouthly, that it’s like driving a marshmallow. Its lithe handling and effortless steering are remarkable. I can honestly say that I have never driven a car quite so intoxicatingly smooth. 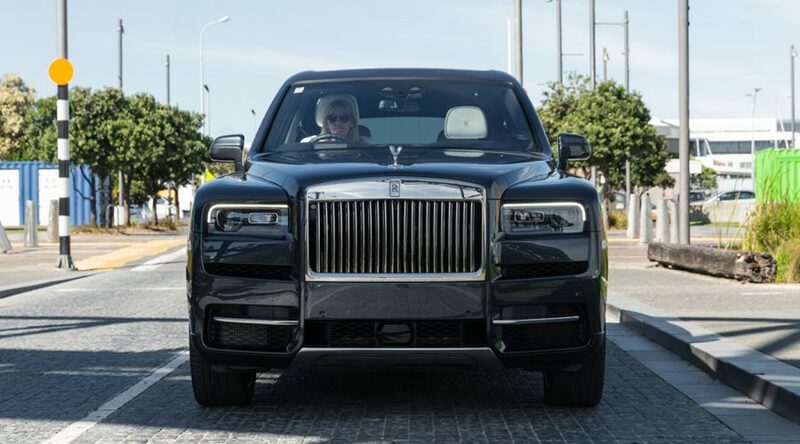 And while I didn’t put her through her off-road paces, I can assure you I gave it a bit of a nudge through chicanes, over speed humps, along gravel roads, and on bumpy beach reserves, and through it all, over every surface, at varying speeds, the Cullinan glides, delivering what Rolls-Royce calls it’s “magic carpet ride”. Totally unaffected by exterior noise or vibration, it literally seems to float in an otherworldly fashion, above the fray. 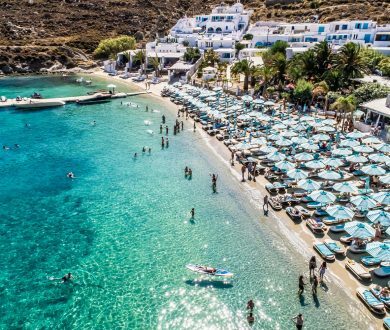 The whole experience spoke to the sort of life that I would love to lead, floating above the noise and bumps, safely ensconced in a world of opulence. But as I suggested to my children — who were adamant that the car was ours to keep — much like my successful publisher friend, Mr Colman, you get what you work for, not what you’re given. So back to work I go.